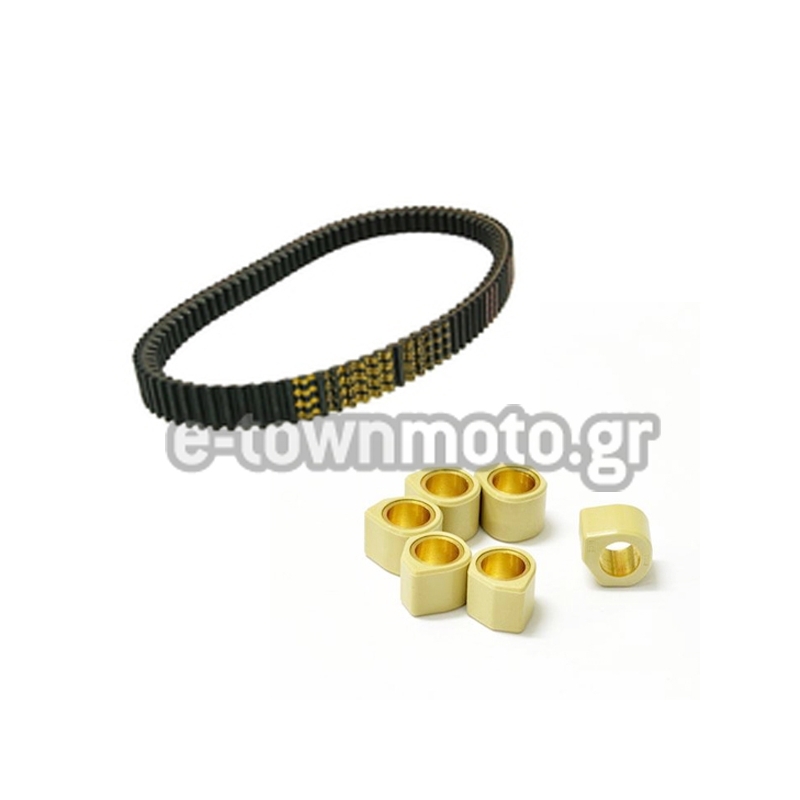 We represent the scooter drive belts by MITSUBOSHI which develops drive belts for the biggest scooter brands, like Piaggio,Yamaha,Suzuki,Aprilia etc. 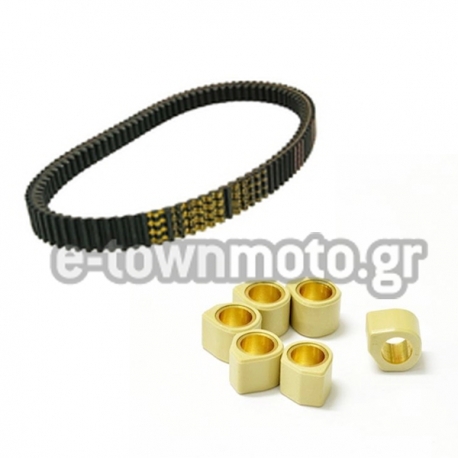 All these constructors have chosen the MITSUBOSHI drive belts because of their reliability and their great quality. 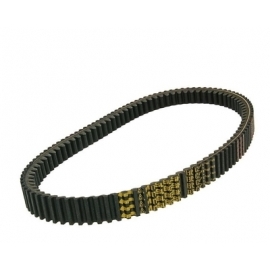 The MITSUBOSHI drive belts - of single or double tooth - are made of rubber, layers of piles and they are enhanced with Kevlar, which makes them extremely durable against friction and high temperatures, resulting in the longest possible lifetime. State of the art mechanical equipment and high precision side cut for excellent traction and noiseless function. The globally renowned SR rollers, thanks to their patented polygonal shape, offer: More explosive acceleration, Higher top end speed, Better stability in gear shift ratio, Broader gear shift range.